Directly in front of our hotel, you will find the beautiful skiing region Wefenweng, affordable skiing on the best prepared ski-runs! The perfect place for a wonderful day on the slopes! 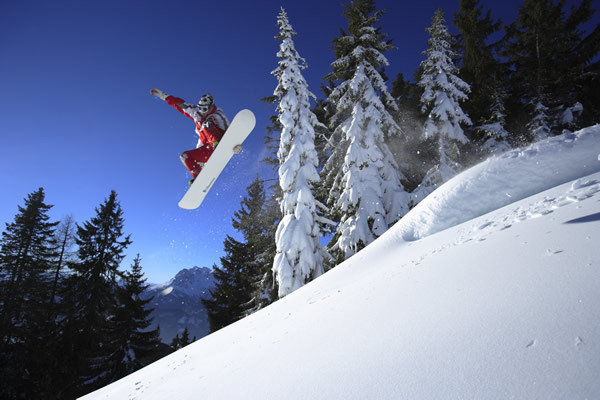 Whatever your holiday desire list comprises of: if you are looking for action, time with the family, peace and relaxation or a combination of both, you can be sure to find what you are looking for in Ski region Werfenweng. 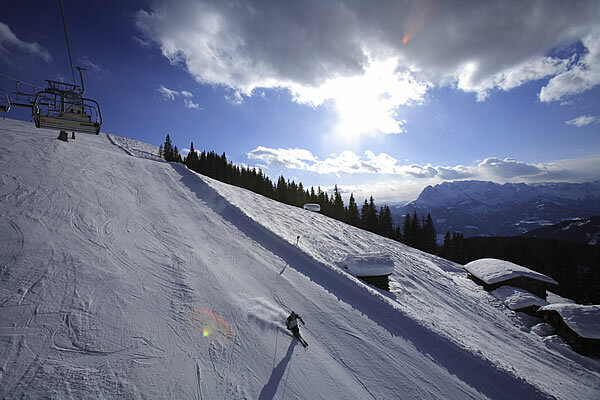 The skiiing region of Werfenweng extends from 1.000 meters to a altitude of 1.850 metres and as a family ski resort, it has something to offer each and everyone! There are 9 lift systems, and 25km of ski runs in total. The resort also offers powerful snow making facilities, which allows for 100% snow coverage. With the "Ikarus"- 8er cable car system, you reach the peak within 6 minutes. The prices are particularly family friendly: Family tariff (eg. : 2 adults + all own children: € 68,-/day), Weekend-Special: children: € 11,-/day, senior price reductions! If you would like to spend your ski holiday in Werfenweng, then send us your non-binding holiday enquiry to Hotel Zehenthof in Pfarrwerfen now.